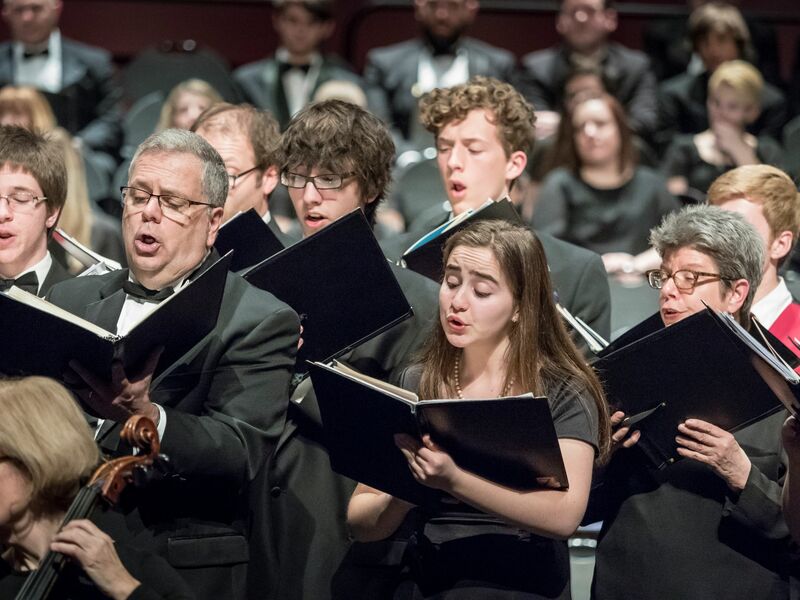 Gifted students from our region join The Bach Choir of Bethlehem and members of The Bach Festival Orchestra, under the direction of Greg Funfgeld, to present a program ranging from glorious Bach to works from 21st century composers. This year’s youth choirs include: Bel Canto Youth Chorus (Joy Hirokawa), Lehigh Valley Charter High School for the Arts Touring Choir (David Macbeth), Emmaus High School Chorale (Rita Cortez) and Parkland High School Chorale (Frank Anonia). These 200 voices join together to offer an exquisite program of choral music. Zoellner Box Office opens 90 minutes prior to the 3 pm performance. * PLEASE NOTE: Phone and online ticket orders for the FAMILY CONCERT YOUTH CHOIRS FESTIVAL are available through the Zoellner Box Office ONLY. The Bach Choir website will not process any online orders after 5 pm on Thursday, February 21. DISCOUNT CODE: To use your discount code, please call the Zoellner Box Office: 610-758-2787, ext. 0. Questions? Call the Bach Choir Office: 610-866-4382 ext 115. Click here to order through the Choir or call our office: 610-866-4382 ext 115 or ext 110. Not finding the tickets you want? If you’d like to order seats that are not “clickable” on the seat map below, call the Zoellner Arts Center Box Office: 610- 758-2787 (7LU-ARTS), ext. 0* or click here to order tickets online through Zoellner Ticket Services.